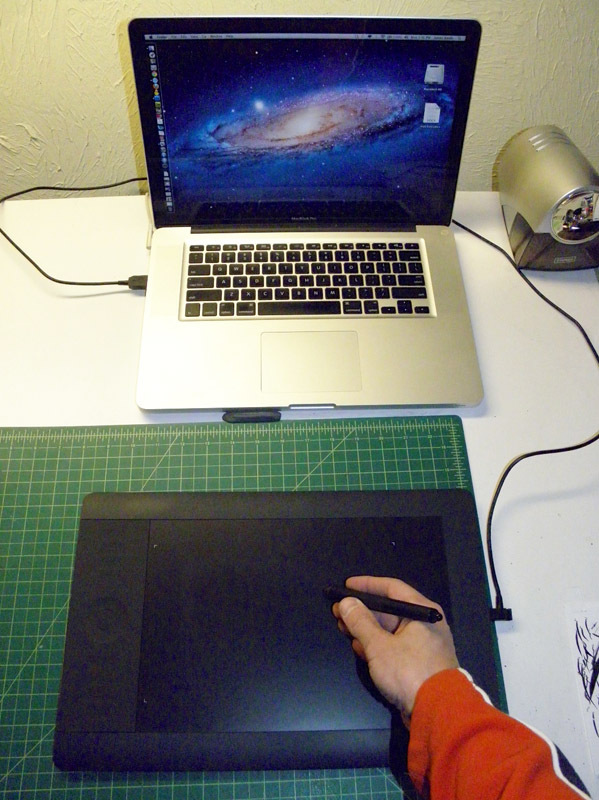 I love pen and ink so I still do a good majority of my work with tradition tools like dip pen and brushes, but thanks to Corey Sauer (President of the Sauer Children’s Renew Foundation) I currently have a Cintiq to play with as well (and yes that ancient rotary phone to the right is my studio line). 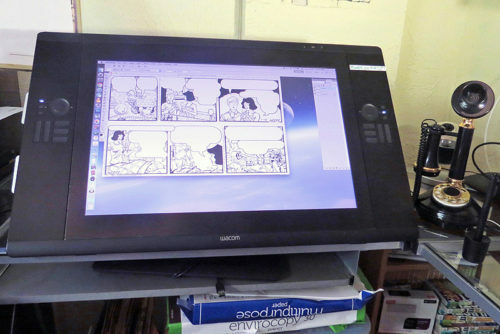 I also use a Wacom pen tablet (shown below) when I need something more portable. 15″ MacBookPro with intuous5 Touch Medium pen tablet. For transferring layouts to bristol, an Artograph Lightpad A940. 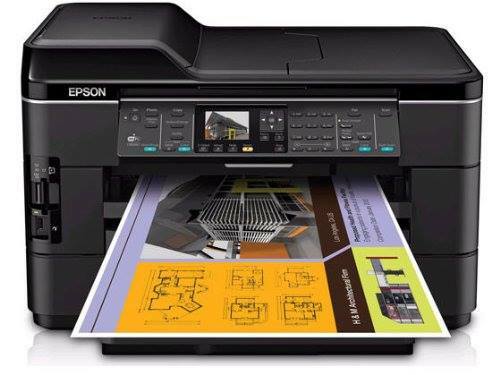 Scans 11″ x 17″, plus it prints up to 13″ x 19″ (and there’s currently newer models than my 7520 out there). Cost saving tip: I find you can get a deal on the older models just when the newer models are coming out. 3h for light sketching and blocking in shapes. 2b for tightening up drawing. Pental Twist Erase with HB lead for a clean line. X-acto knife (for removing ink by cutting away layer of bristol paper). 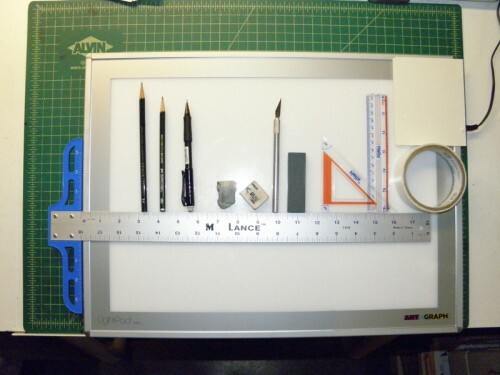 Whetstone for sharpening X-acto blades. Tape to hold art in place. And above tape, piece of paper to have under your hand when penciling or inking. I also have a larger T-square and ruler – but the smaller size comes in pretty handy. 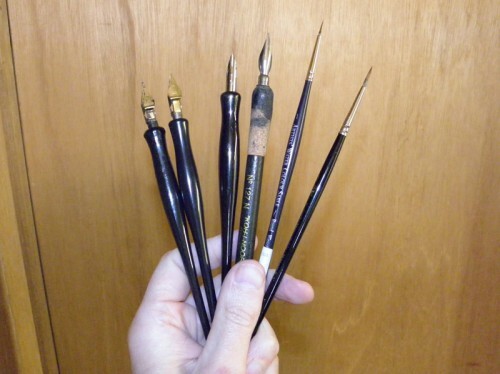 B6 and C5 lettering nibs. 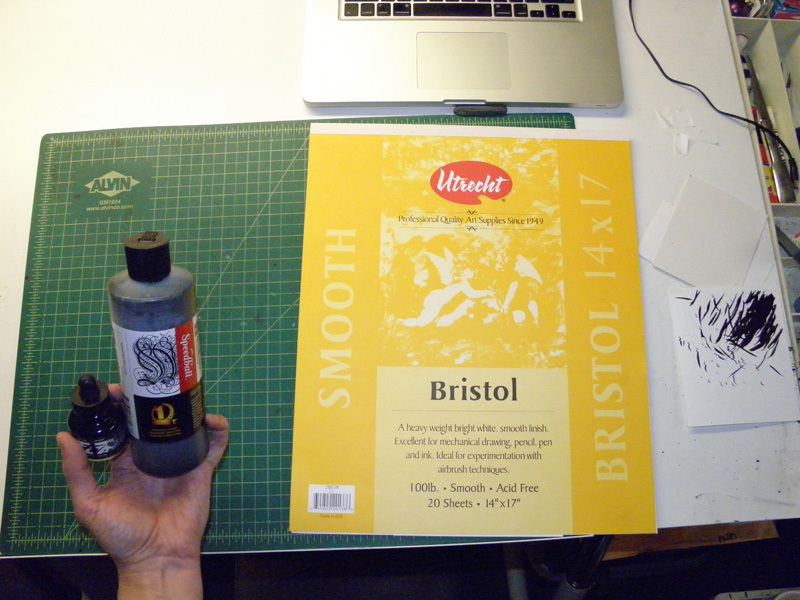 Winsor & Newton (In partnership with Blick) Round #1. Winsor & Newton Series 7 #2. 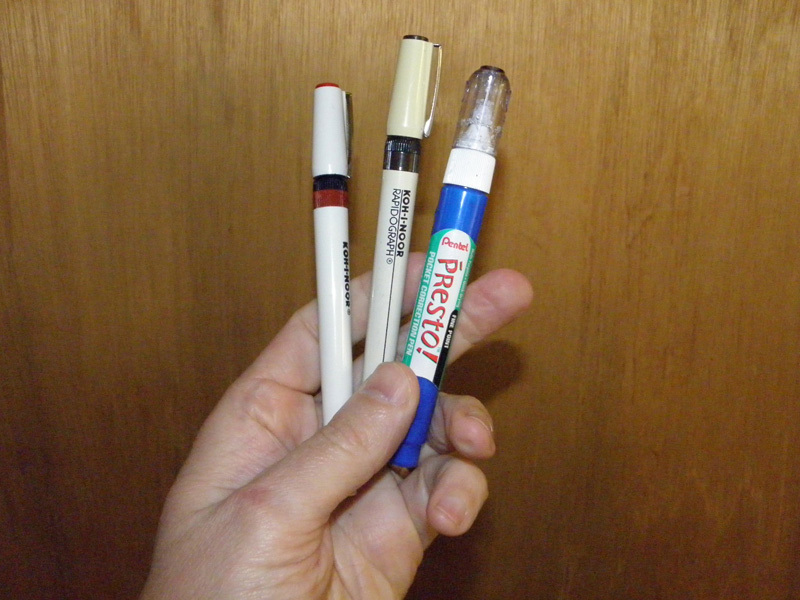 Presto fine point correction pen. For inks I love FW’s black acrylic for how dark it goes down, but lately I have been using Speedball super black as it’s comparable and comes in a big bottle (thus saving me money). For Flash Gordon I used both 1-ply and 2-ply vellum. Of late I’ve been using 2-ply smooth (or plate). 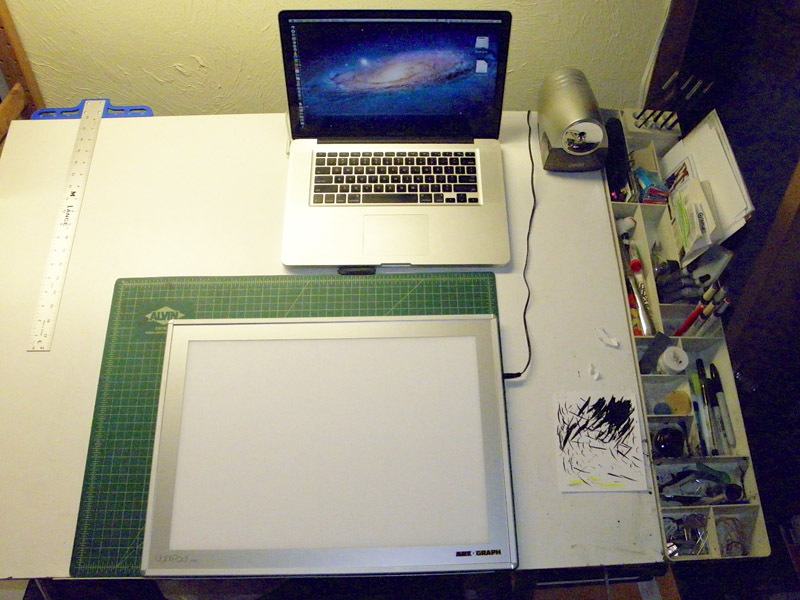 Underneath is an Alvin green cutting mat – very handy for not only cutting, but for tacking things up as well. 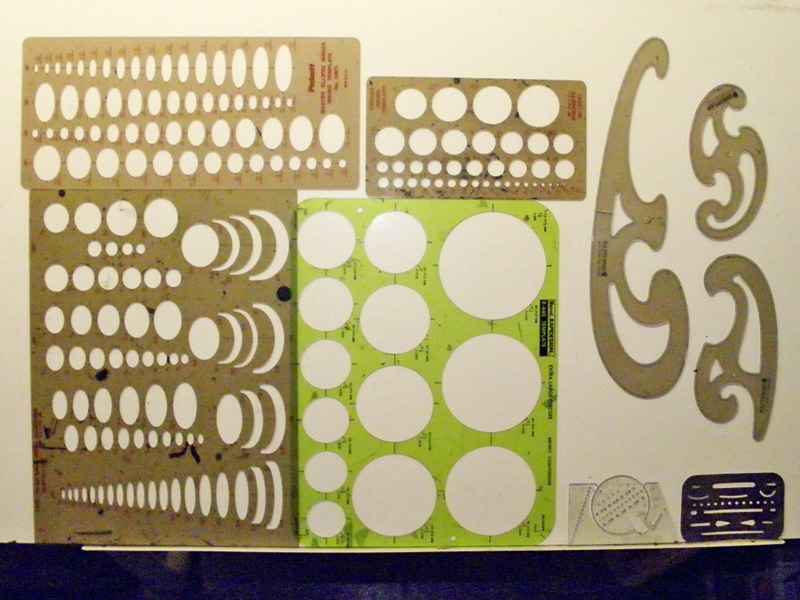 Inking templates: Circle, oval and a set of french curves. Erasing shield (bottom right hand corner). Ames guide for lettering (to the left of erasing shield). For inking: a water jar, rag, paper towels and some scrap bristol are also a necessity. 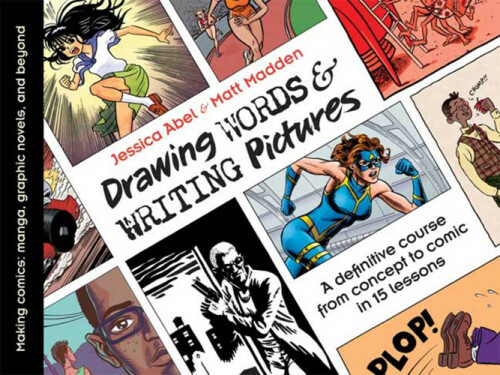 For more on inking supplies, check out Drawing Words and Writing Pictures by Jessica Abel and Matt Madden. 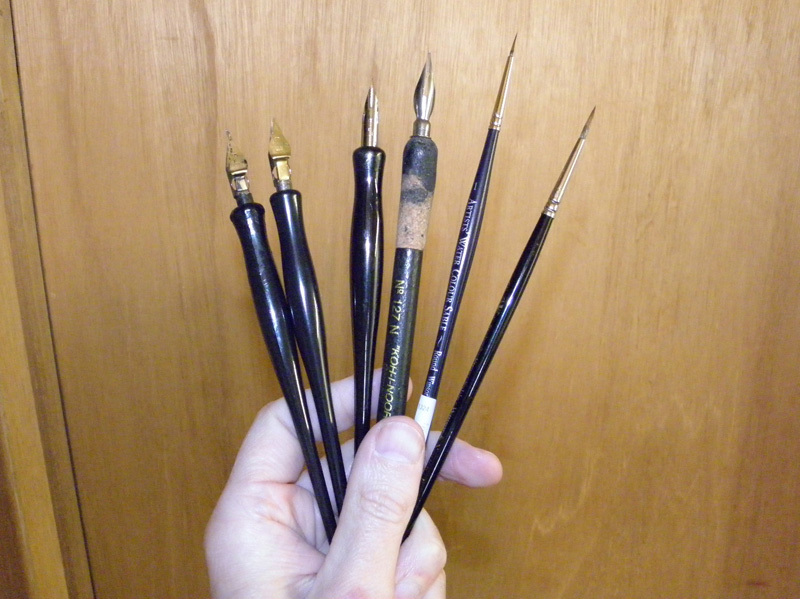 It provides solid instruction for people interested in making their own comics and the page which lists the different kinds of pen nibs for inking is worth the price of admission alone. I can’t stress enough that the items listed above are not the only ones I own or use. For instance, I have a number of different inking and lettering nibs, the ones pictured are just the nibs I am currently using the most. Check back in a year and you’d probably see some slight variations in what’s shown above. Find what what works best for you, but don’t get mired down in the familiar. 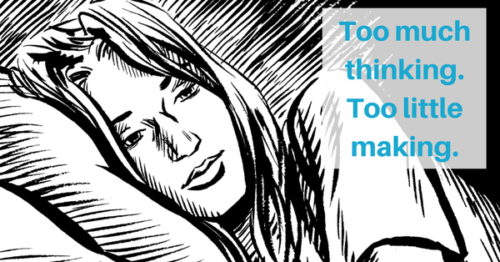 Try new tools (cutting edge and old school) and keep experimenting. Colleen Doran has a great blog where she answers questions regarding time management. Essential reading – check it out. My two cents worth can be found on my post regarding procrastination. Last but not least Jessica Abel offers a world of advice about getting more productive and creative. I took an online workshop of hers recently that was incredibly informative and helpful – highly recommended. I’ll end with a few words from Zak Sally. I first met Zak while teaching at the Minneapolis College of Art and Design. He’s a great teacher in that he has the rare ability to make lightbulbs go off in your head where you didn’t even know you were in the dark in the first place. 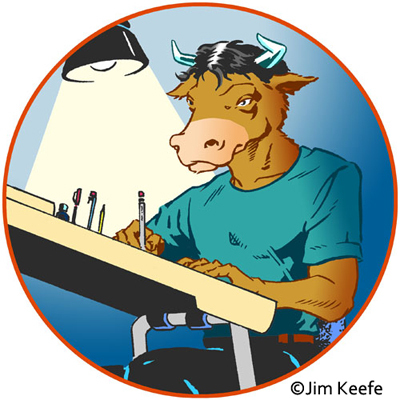 Here he talks about one of his favorite artists, Kim Deitch. 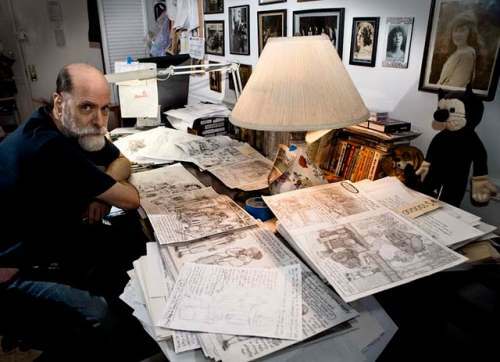 Kim Deitch at his drawing board. – Zak Sally from Documenting the History of Minnesota Comics. by Britt Aamodt and Barbara Schulz.